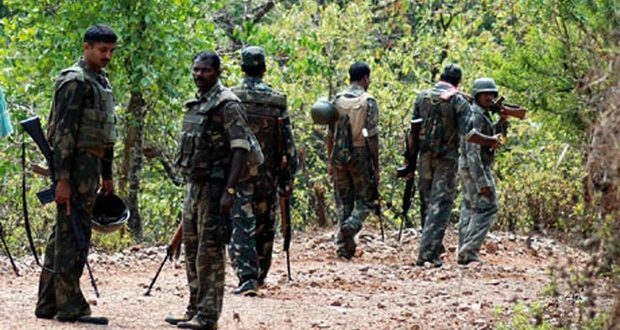 Malkan giri:5/11/18: At least five Maoists including a woman cadre were killed in an encounter with security forces in Chitrakonda-Papluru area in Odisha’s Malkangiri district on Monday. On receiving a tip-off about a Maoist camp in the area, personnel from Special Operations Group (SOG) and Odisha Police raided the camp following which an encounter ensued between the red rebels and the security forces on Sunday night. Additional Director General (Operation) R.P. Koche said several weapons, including two INSAS rifles, a hand grenade and one SLR, were seized from the place. He informed that the combing operation was still going on in the area. While five Maoists were killed, leader of Kalimela Dalam Division of CPI(Maoist) Ranadeb managed to flee the spot.